With the high cost of childcare and the often low availability of places, many Australian families are turning to nannies and au pairs to care for their children. While the term ‘nanny’ might conjure up images of posh British families with hyphenated names, this picture is no longer accurate. Nannies can often provide an affordable option for typically ‘average’ working families in Australia who need help with childcare. So can using nannies and helpers actually be more cost-effective than a childcare centre? The short answer is yes – it certainly can in some cases. 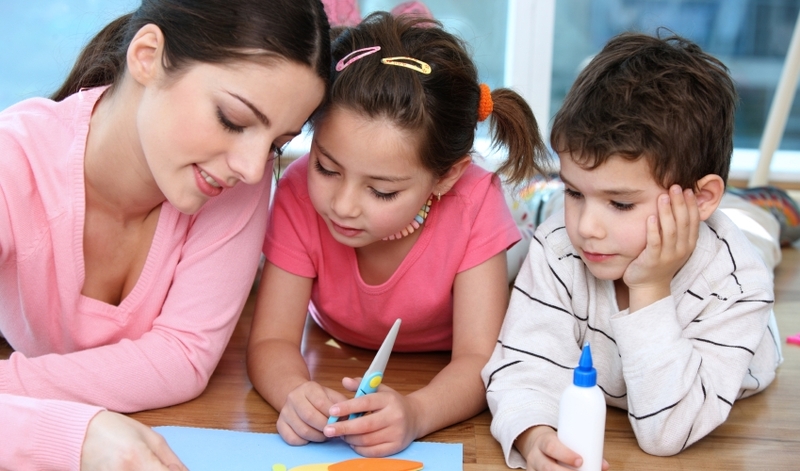 But before explaining how, we will outline what au pairs and nannies do, and how they differ. Au pairs are usually young travellers who provide live-in childcare and light home duties for 30 to 50 hours per week, in exchange for accommodation, meals and an allowance. They can provide care for children over two years of age and up to 18, but usually do not care for babies under two, as they are not qualified to do so. Nannies on the other hand are experienced professionals in childcare and are usually older than au pairs. They may live-in, or live out of the home, and unlike au pairs, can provide care for babies and children aged under two. A professional nanny will require a proper wage for their services. Although you need to pay your nanny a wage, it can still be less costly than childcare in some cases. For instance, if you chose to use a nanny service for eight hours at $17.50 per hour, the total cost would be $140 – which could be less than the cost of eight hours in long day care at a childcare centre (which can cost up to $185 per day). A nanny can be even more cost-effective if you have more than one child to care for. If you chose to use an au pair, the allowance is generally around $7 to $10 per hour, although in some cases families and their au pair may agree on a flat rate (such as $250 per week). Let’s say you agree to provide an allowance of $250 per week for an au pair – with childcare centres costing up to $500 per week this can give you a very cost-effective solution indeed, even if you factor in the cost of meals and accommodation. Even if you were to pay your au pair $8 per hour for 40 hours ($320) it could still work out cheaper than a centre. Of course using in-home care provides many intangible benefits, some of which may also result in indirect cost savings. These are highlighted below. Convenience – with a nanny you get the convenience of childcare in your own home, which can be especially beneficial if you need to travel a considerable distance to drop off and pick up your children. This can also save you money on petrol costs and wear and tear on your car, and that’s without even thinking about the how it could reduce your stress levels! Familiarity – caring for your child from one day to the next means that nannies and au pairs become more familiar to your child than childcare workers, who might change frequently. This can help to create a greater sense of security and consistency for a young child. Reduced risk of sickness – it’s generally well-known that kids in childcare centres are prone to picking up various sicknesses from coming into contact with so many other people. In these cases, parents may find themselves having to take a few days off work to care for their child – possibly missing out on some of their pay in the process. The convenience of having someone to care for your child in your own home avoids this kind of scenario. Out-of-hours care – as we know, childcare centres are not generally open outside of business hours, which can be a problem for parents who are shift or FIFO (Fly-In-Fly-Out) workers. Nurses, doctors, firefighters, ambulance drivers, police officers and mining personnel may all fit into this category. A live-in nanny may be able to provide the care needed for the children of shift workers during the times they are at work. Casual care – in some cases parents might need ad-hoc rather than regular care for children due to circumstances that come up. Finding a centre to provide casual care can be problematic, and a nanny may be able to fill the gap in such situations. If you’re looking for nannies and helpers, our nanny selection process at Select Au Pairs & Nannies is very thorough. We can help to ensure that in-home care of your children is provided by a nanny who suits your family and situation, in terms of qualification, personality and any other qualities you are seeking. Contact us at Select Au Pairs if you would like to know more.